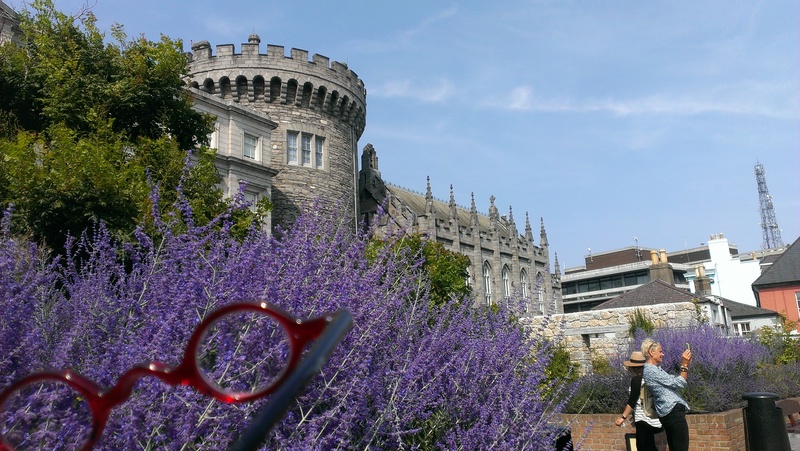 In the Spring of 2013 my friend, Gina, who lives in Dublin, emailed me and said it was time to return to Ireland for a much needed break. I didn’t hesitate and made reservations to visit that Summer. I was at rowing practice one day and casually said, “Who wants to go to Ireland with me?” and my friend, Marsha, instantly said, “I do! !” Flights were booked and plans were set in motion. I have to interject here (yes, I’m interrupting my own story, which I tend to do.) On the flight to Chicago, our stop along the way, I met the nicest woman. I’m usually cordial to my seat neighbors when I fly, but usually at some point I like to read, but this woman and I conversed almost the entire way to Chicago. Her husband had passed away 13 yrs. 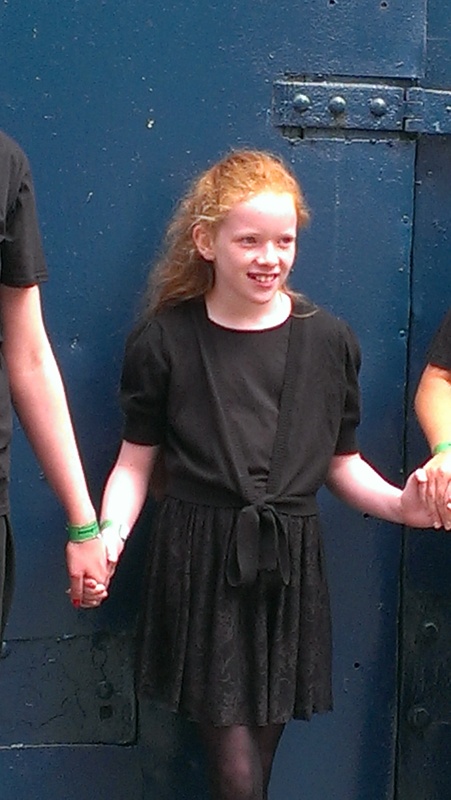 prior and she was on her way to Chicago for a large family reunion with her 10 siblings…10!! I told her a little bit about my recent history and she said the most positive thing. She told me, “it is our time…” to live our adventures, be single for the time being, and enjoy the rest of our time in this amazing life we’ve been given. What a great way to start the trip! 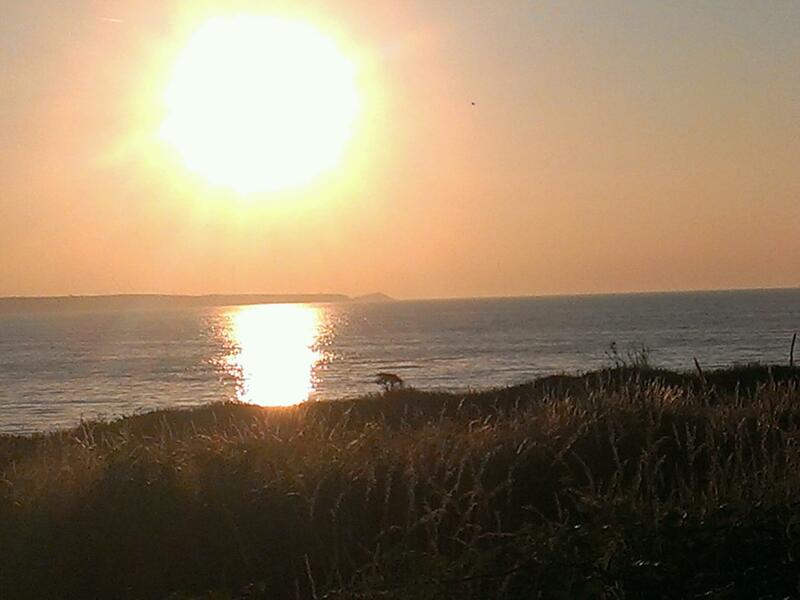 and I were staying at a friend’s home in Ballycotton. 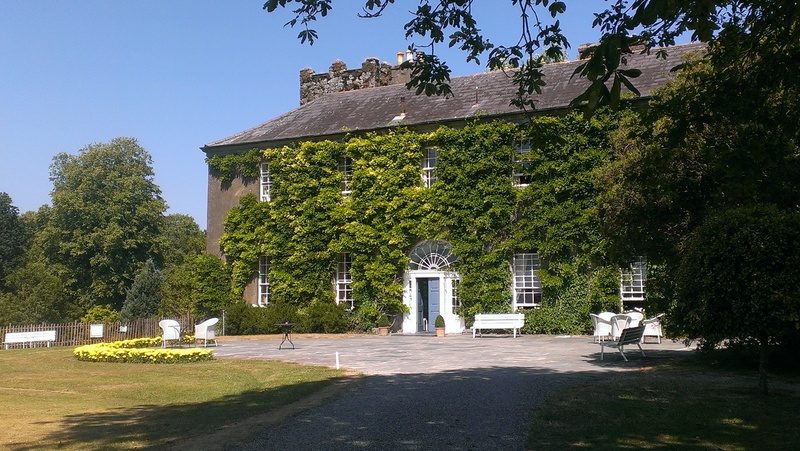 (another side note…read A Moment in Connemara by Annie Quinn, the owner of the home in Ballycotton where we were staying…lovely story!) 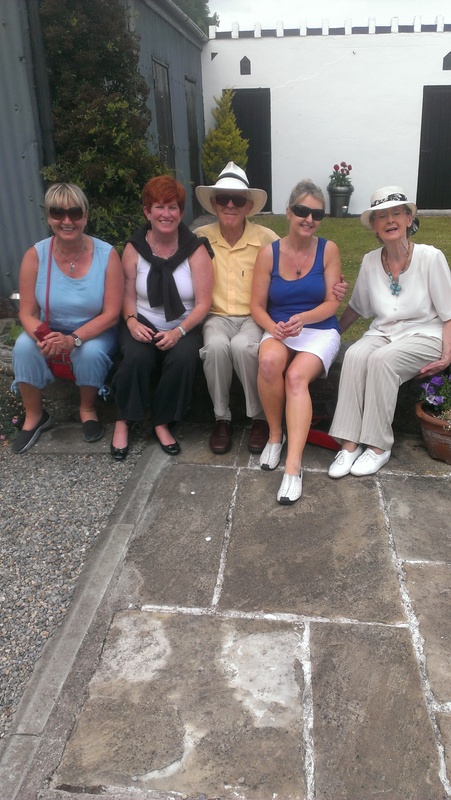 We stopped along the way in Gina’s hometown of Cahir, where we met and had lunch with her adorable parents!! 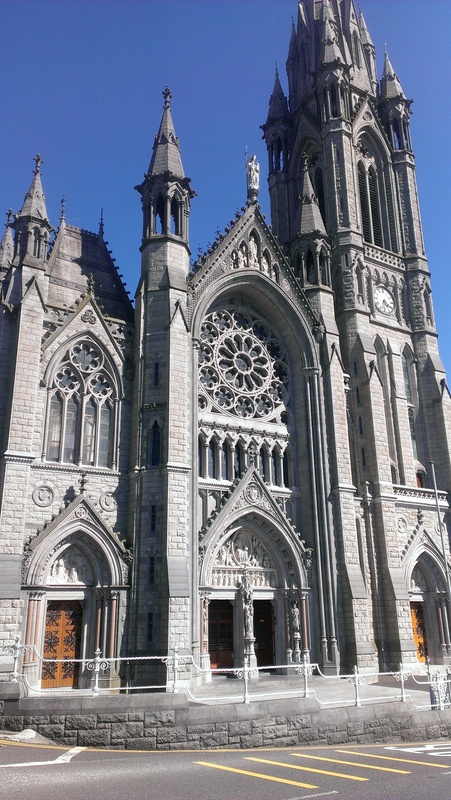 We continued on to Cork City where we roamed a bit before heading to Ballycotton and collapsing after our long day. 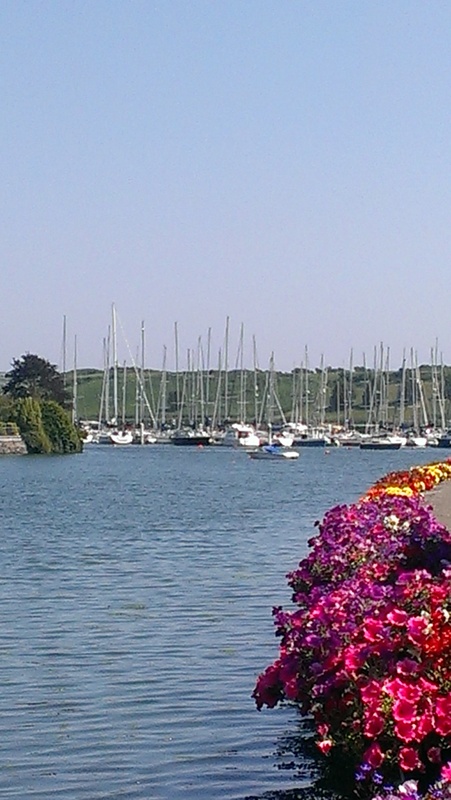 Ballycotton is an adorable seaside resort in Southwest Cork County. The view from Annie’s home was spectacular. 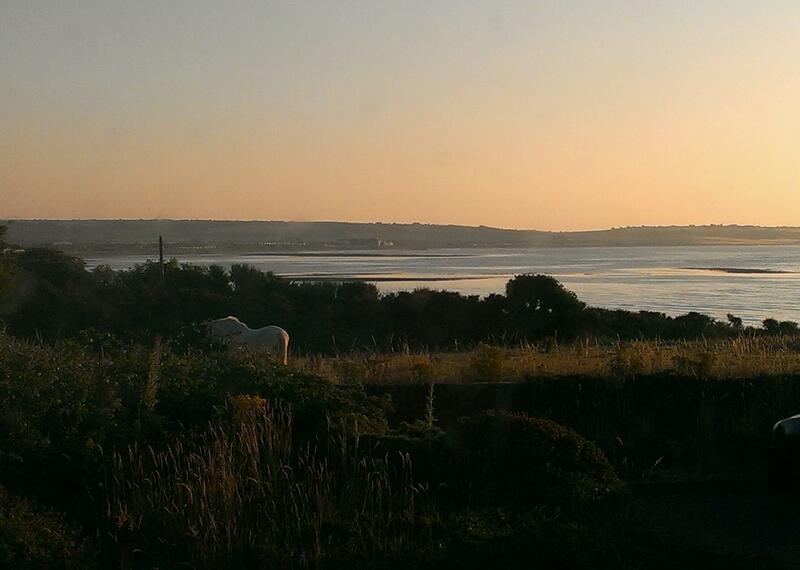 I woke to a beautiful sunrise on the water, with our resident white steed grazing in the meadow across the road. 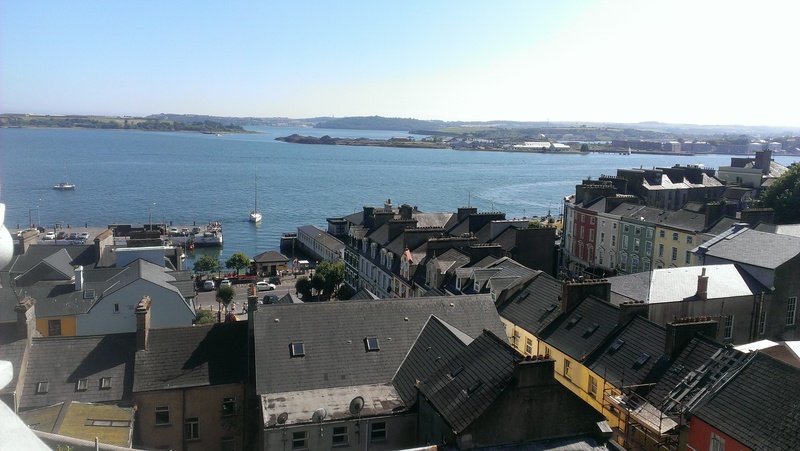 Day 2…We had a full day of sightseeing planned…with visits to the Irish National Rowing Championships, Kinsale and Cobh. Best to show this day in pictures…. 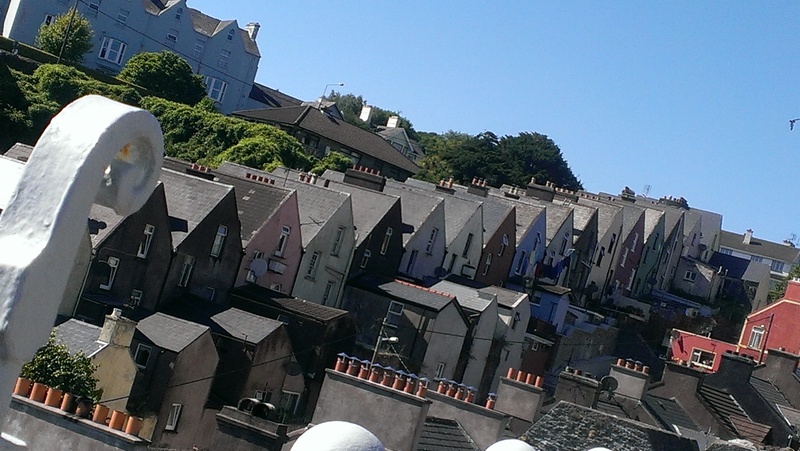 Cobh, a tourist seaport town, notably the last stop for the Titanic before setting out on it’s fateful journey. The Lusitania was also sunk off the coast of Cobh by a German U-boat in 1915. 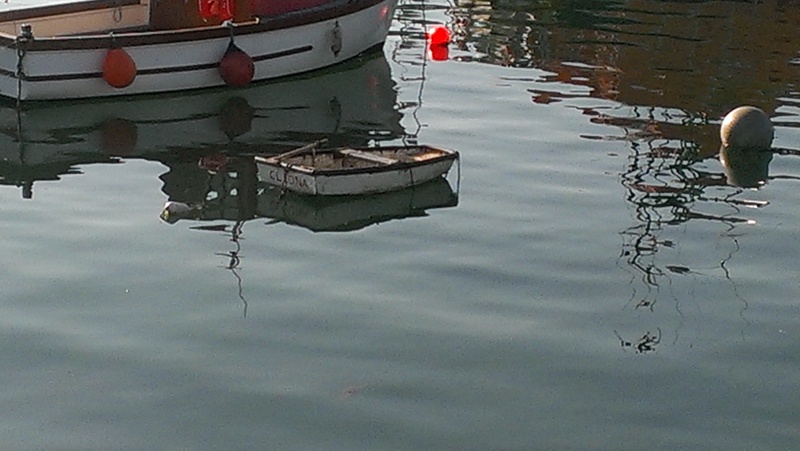 Old dingy in Ballycotton Harbor…I love the way it looks kind of like a watercolor. The next day it was back to Dublin by train, a really yummy dinner at Matt the Thresher (where Michelle Obama had dined with her daughters a few weeks before us) and then over to Merrion Square. 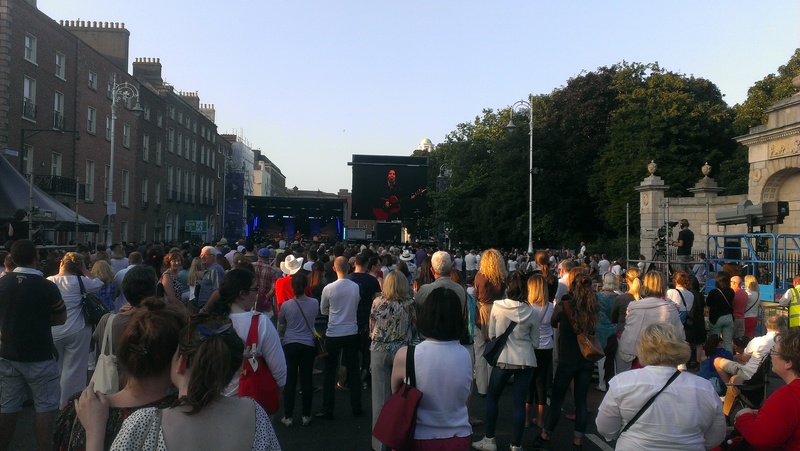 With the full moon rising, we enjoyed an evening of music, Riverdance on the big screen, and the beautiful voice of Brian Kennedy. We followed that up with a visit to famous O’Donoghue’s pub near St. Stephen’s Green for some traditional Irish music and a bit of the craic. One of the highlights of the next day was seeing a world record performance of Riverdance on the River Liffey…check out this youtube video…gives me goose bumps every time I watch it. It was spectacular!! 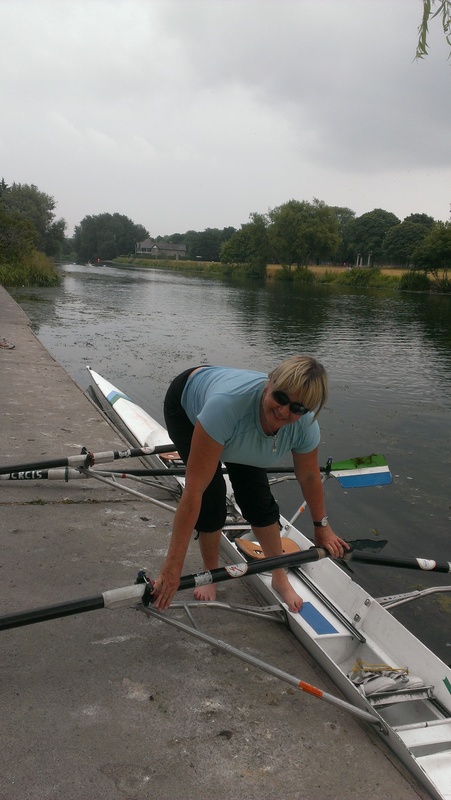 We even hooked up with the Phoenix Rowing Club and took out a double for a quick row on the Liffey…. We stayed up until 1 a.m. (very late for us rowers..we were so proud of ourselves) two nights in a row just enjoying Gina & Andy’s cooking and hospitality. We were joined by neighbors Trevor & Sharon and cousin, Evelyn one night. Liz, another neighbor, joined us the following evening. 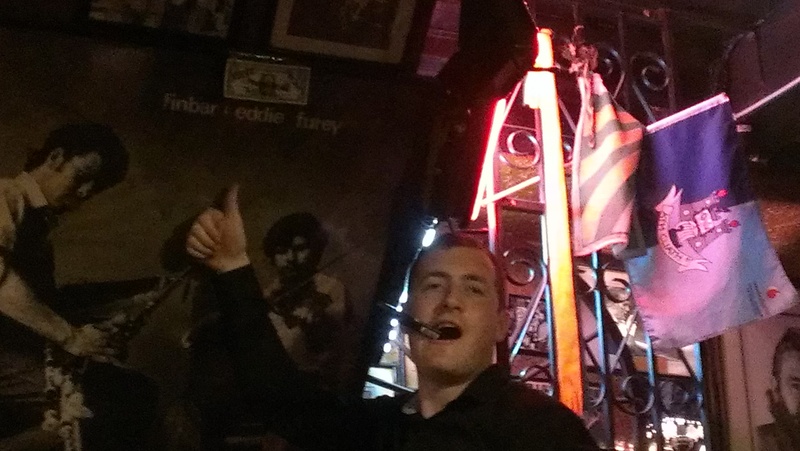 The Irish are the most warm, inviting, friendly group of people. 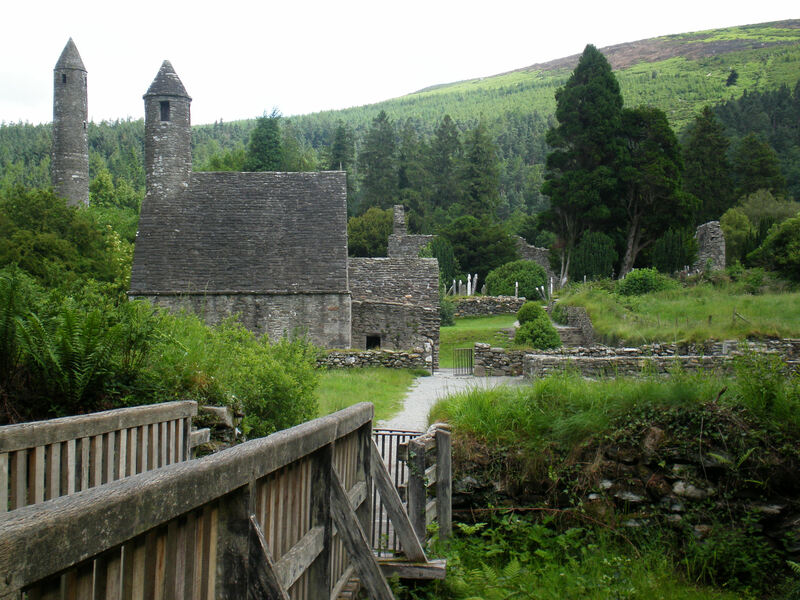 On our last day together on the Emerald Isle, Gina drove us down to Powerscourt House and Glendalough in the Wicklow Mountains….gorgeous!! We had our final meal at Fade St. Social in Dublin…one of he best meals I’ve ever had…amazing! 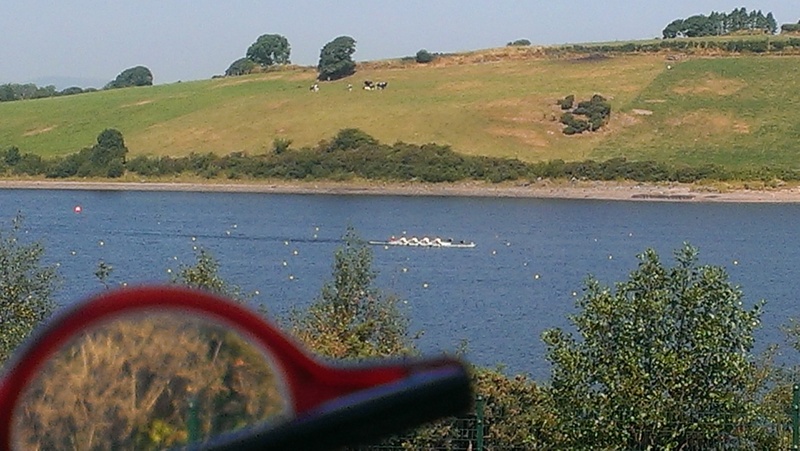 ….Marsha went back to the U.S. to rowing camp and I continued on to Galway…stay tuned! I’ve only been on the west side of Ireland which I LOVED. Flew into Shannon airport, stayed at Dromoland Castle to be in a friend’s wedding (also experienced the ghost of Brian Boru there), then drove by myself north following the coast to see the Cliffs of Moher, Ballyvaughan, all the way up to Connemara where the ponies roam free. Great trip; really felt my Irish blood there. On the list of places to return to and see more! I feel like I am looking at pictures from own trip almost 16 years ago – seems we went to all the same places! really brought back lovely memories. 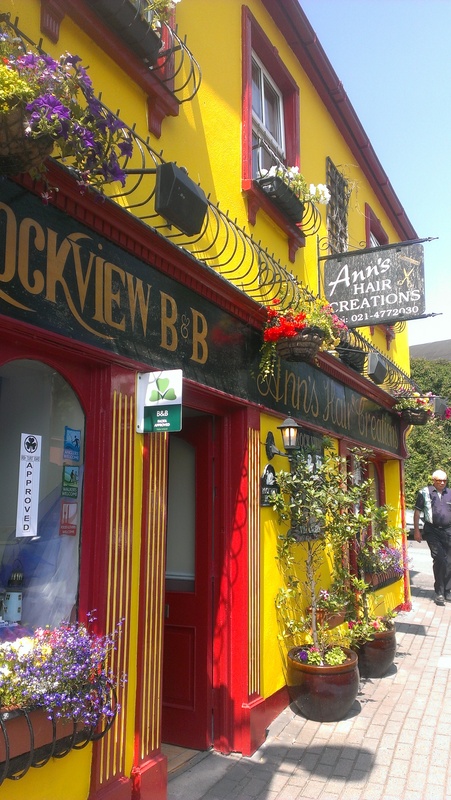 And when Paul and I went, our favorite place was Galway so I can’t wait to read that entry, Keep ’em coming! 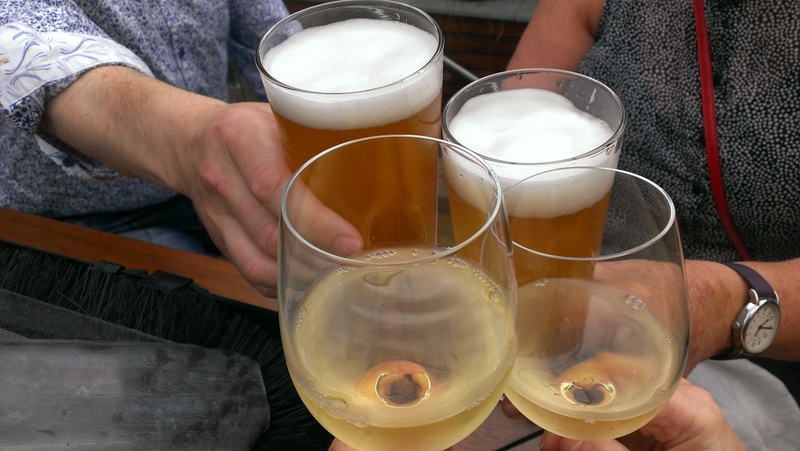 That didn’t leave me homesick – NOT!!!! aawwwe…Sorry Denise! Galway’s the next post.